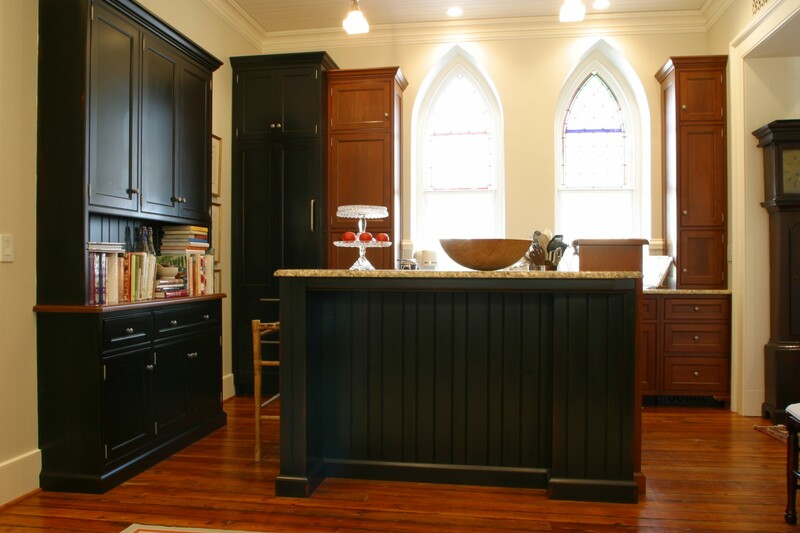 This cherry kitchen was installed in what was built in the late 1870's as a chapel for St. Anne's Parish in downtown Annapolis. In 2002, major repairs and renovations began in order to convert this structure into condominiums. 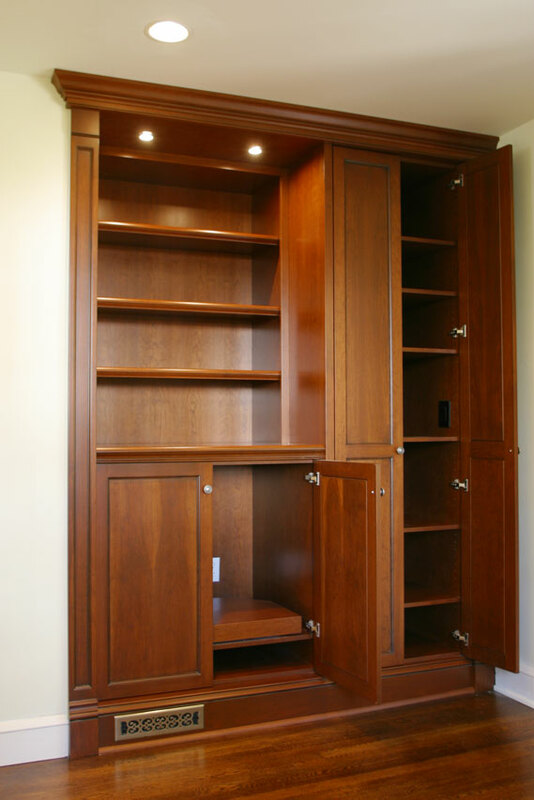 The stained cherry cabinetry features a distressed and glazed finish. 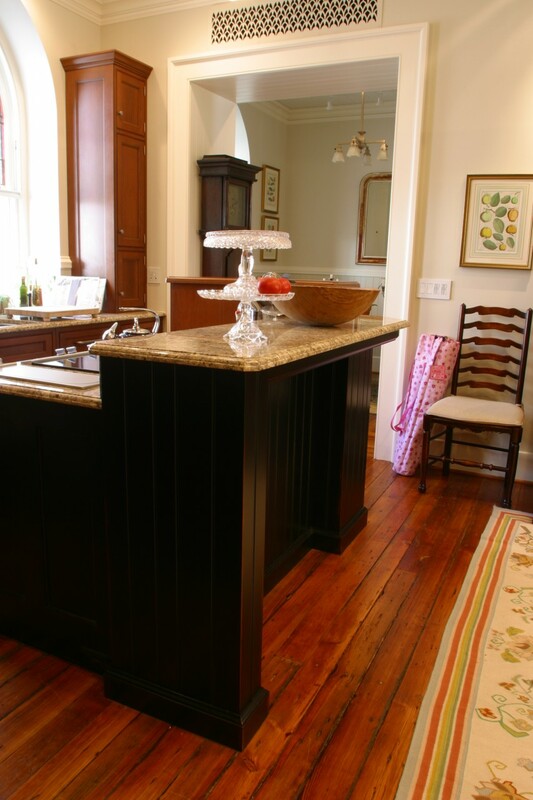 The painted cherry cabinetry was distressed and dyed prior to painting, so that the "rub through" finish would reveal "aged" wood underneath. 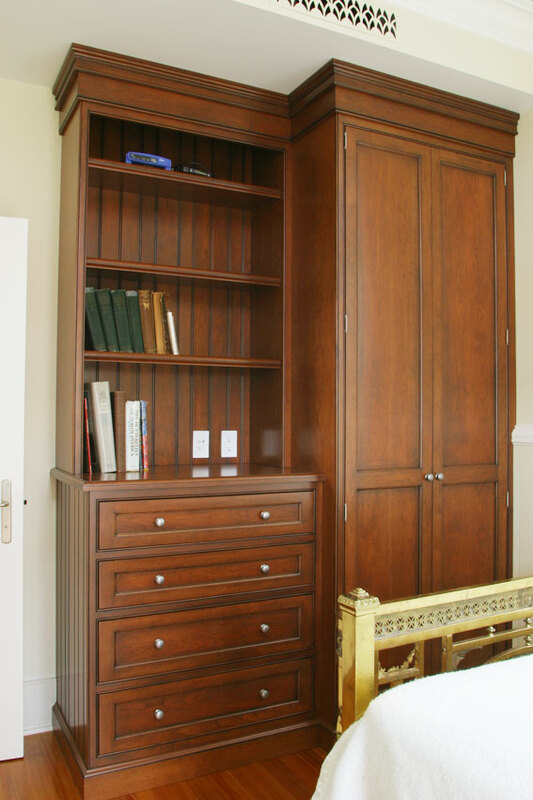 This finish compliments the antique heart pine flooring. 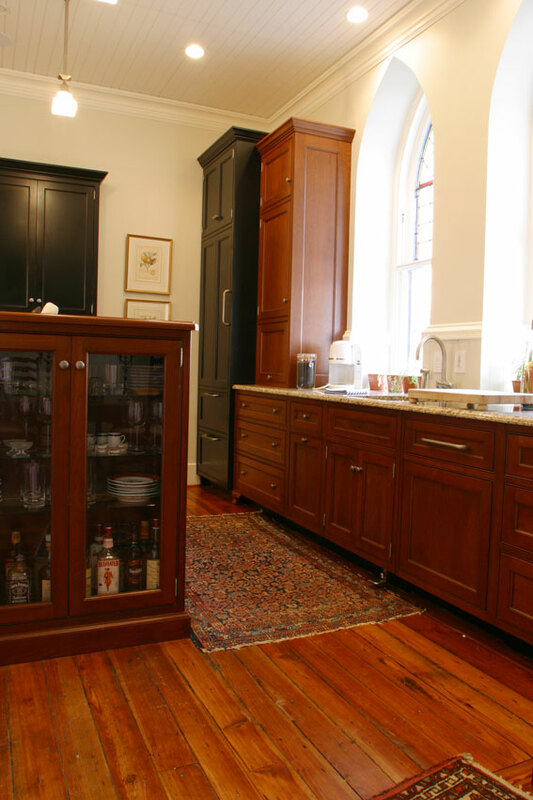 The style and layout fits nicely within the existing architecture of the chapel.The kitchen island incorporates a cooktop with down draft ventilation, an oven, a glass door cabinet and both granite and solid cherry countertops. 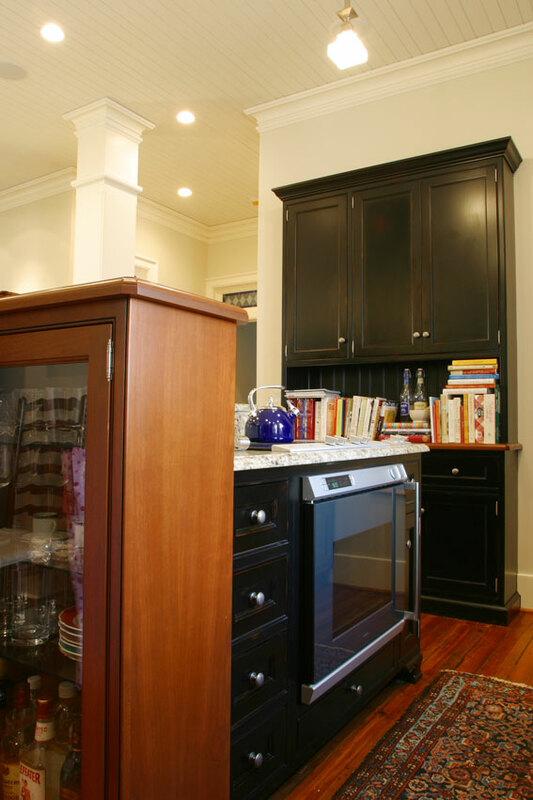 With an objective to hide as many of the appliances as possible, the tall black cabinet was designed to house a sub-zero refrigerator. A microwave oven is hidden in the upper cabinet located beside the refrigerator cabinet. The dishwasher is integrated into the cabinetry as well.